My sewing room is a mess! I dumped out 2 Rubbermaid bins of scraps and unsorted fabrics to make room for hauling finished products to my first Christmas craft sale of 2013. I'm a list maker, so I've made an inventory list of what I'll be bringing and checking it against what I can actually find in my closet. Chaos rules, but piece by piece, this mess will disappear and I will be ready for the sale! I don't remember how I packed it all up last year - the large quilts are NOT fitting nicely into the tub! And this is the first year I've packed a pillow - definitely bulkier than the quilts! 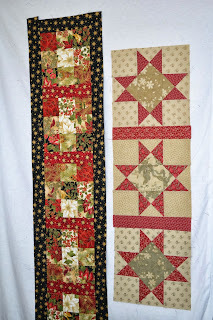 I definitely have more table runners than other years and I'm looking at a way to hang them so they are easier to look through - maybe a clothing rack! And I hope to pack the small items right inside their display cases (aka whatever baskets and containers I can find here at home!) I've only got a few more days to figure it all out! 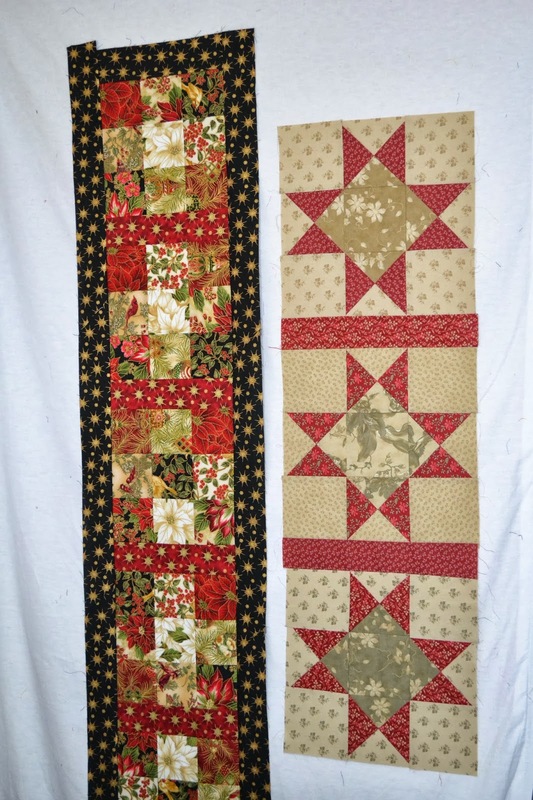 But I'd rather be sewing and finishing some more of these - a Christmas table runner and a red/taupe quilted runner that can be used for the holidays and all year round. How do you organize yourself for a special event?